Alexander Graham Bell was one of us, or more precisely, one who most of us would like to be. I truly believe he would have been an active member of the AKA had he been alive today. He had the true heart and spirit that embodies the AKA membership. Aleck, as he was called as a boy, would lie atop a favorite hill in Edinburgh, Scotland (where he was born in 1847) so he could be close to the sky and watched with envy and wonder as the birds flew above him. As a true original thinker, Bell was not the best of students. If he was alive today, I am sure they would have labeled him as having Attention Deficit Disorder and probably have medicated him! To the end of his life Bell maintained the pure delight of a child exploring the world. Those who knew and loved him worried about his lack of concentration. Bell was a great generalist during the birth of the specialist. Bell's future father-in-law chided him once about his inclination "to undertake every new thing that interests you & accomplish nothing of value to any one". That was five months before the telephone was patented. It still holds the record for the most financially profitable patent ever issued. Bell was 29 years of age and the year was 1885. He was reported to have answered the phone saying, "Hoy, hoy" - never hello; and that he told his grandchildren, "It's for calling out, not for calling in". And that was all! A single set of triangular cells constituting a hexagonal figure with six interior radial wings. What seemed to save Bell from his own fickle nature and aimless meandering through life was his ability to have laser like focus on his project of the moment. He wasn't all that comfortable with the fame the telephone had brought him. An avid writer, he once wrote to his wife Mabel early in their marriage, "Oh! Mabel dear - please, please, PLEASE (that's copied from you) make me write. Make me describe and publish my ideas that I may at least obtain credit for them and that people may know that I am still alive and working and thinking. I can't bear to hear that even my friends should think that I stumbled upon an invention and that there is no more good in me". Alexander Graham Bell was not a man to rest on his laurels. At the time this letter was written Bell was deeply entrenched in his work on the photophone; a contraption that made use of a focused beam of sunlight to transmit the spoken word. Bell always contended that this was his great discovery, outranking in potential importance even the telephone. No one believed him. The sun does not always shine, the photophone was deemed impractical. Bell and his associates turned their attention to the pioneering and development of the wax phonograph record and securing valuable patents with it. But Bell was right and the photophone's day did arrive. In 1957 Charles Townes and Arthur Schawlow developed the laser for Bell Laboratories and in 1977, the Bell System, using the amplified light of the laser and the technology of fiber optics, installed under the streets of Chicago the first communication system to carry phone calls, computer data, and video signals on light pulses. His writings were remarkable and they comprised Bell's daily train of thought and activities. As well as being prolific in letter writing he had his own in-house newsletter, the Beinn Bhreagh Recorder, which was circulated among family, friends, and associates. Many of Bell's personal journals have been scanned and they are generously posted on-line by his family for all the world to read. 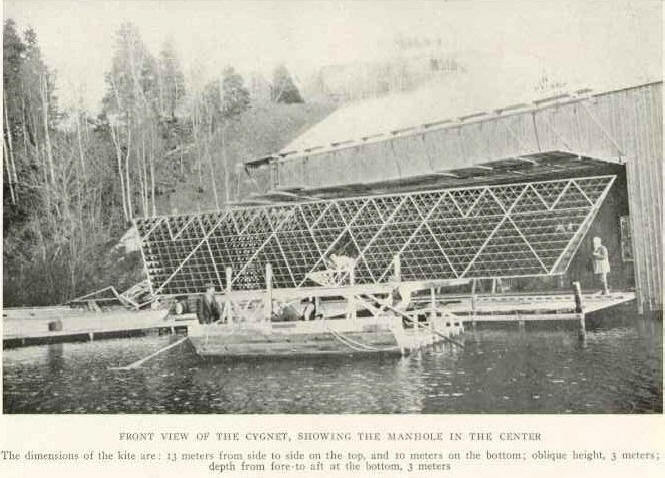 Bell's notebooks reveal that after his telephone and communication achievements he also made contributions in medicine, genetics, eugenics, aviation, marine navigation, and even how to build a composting toilet! His writings also indicated that he foresaw and predicted the need for inventions that were later made by others. Speculations by Bell brought him close to the television and tape recorder, as well as provocative thoughts about solar heat, air conditioning, birth control, and energy conservation. After the death of his second son from respiratory ailments, Bell invented the "vacuum jacket"; the forerunner of the iron lung. Also, in 1903, he was the first to publish the idea of treating deep-seated cancers with radium. In an effort to locate an assassin's bullet in President's James Garfield's abdomen (July 2, 1881), Bell developed a metal detector! Unfortunately the device was tested August first and was too late to save Garfield's life. But the telephonic probe Bell had invented was successfully used for decades to locate deeply implanted bullets, until the x-ray was perfected over twenty years later. Bell's longest running experiments involved sheep breading while he was in Baddeck, Nova Scotia; location of the family's summer home. Other long-term research projects included work on desalination and condensation of water from the atmosphere; a practice he thought would benefit shipwrecked sailors. Bell was one of the founders of National Geographic and is largely responsible for its present day format. His son-in-law, Dr. Gilbert H. Grosvenor was the first editor. "Teacher of the deaf" he replied. Helen Keller, the deaf and blind child who was terribly angry and confused with her inability to communicate, was brought to Bell by her father seeking his advice when Helen was six years old. It was Bell who found Helen's remarkable teacher Anne Sullivan and brought them together. Helen dedicated her autobiography The Story of My Life "to Alexander Graham Bell who taught the deaf to speak". He was the door that led her from darkness to light, from isolation to friendship. the string snapped and off went the kite, and poor Dr. Bell stood forlornly looking after it." Bell touched many lives. Paul Garber told Valerie Govig of a boyhood memory during an interview for the Spring '77 issue of Kitelines. Paul's family lived on Connecticut Avenue in Washington, DC near the home of Alexander Graham Bell. "He would walk by, six feet tall, with a white beard, black coat, very imposing. One day I was out front-we had a big yard-flying a kite. Well, Dr. Bell came along and said, 'That kite isn't bridled properly'. He pulled it down and had me hold the kite while he rebridled it, and sure enough when he launched it again it flew better. Then he patted me on the head." ten years before the Wrights, Bell began actively working on flight. Bell originally worked mostly with Hargrave's box kite that was developed in 1892. He thought it was a very sound design. In 1898, Bell had a Hargrave type kite built in his laboratory. This craft, named Jumbo, measured 15 feet long, almost 11 feet wide, and 5 feet deep. It was big enough to carry a man. Jumbo did not fly. problem solving. He discovered the tetrahedral cell. It started with the idea that, for greater lifting power, he should fly more kites instead of bigger kites. The kites he was working with at the time were his favored triangular box-types with cells of triangular section. The next step was to compound the kites, removing the extra stick where support sticks came together so that the compound kites had the same lifting power as the individual kites but actually less weight. Bell's notes of September 30, 1901 state "
and could judge of their way of falling better than with wind." Mabel's second suggestion involved hairpins and sealing wax for linking tetrahedral skeletons, which Bell exclaimed was "just the thing". His notes are an unbelievable treasure. In October of 1903 Bell switched his spar material for his kites from black spruce to strong but light aluminum tubing. The large kites became much more buoyant and were maneuvered about with great ease. They also flew in a lot less wind. Bell continued to keep exemplary records of his experiments and kept a photographic record of all the laboratory activities. There was always someone from the lab who was assigned the job of "snapshotting". Although he may have been passionate about keeping scientific records he certainly loved the drama and impact his tetrahedral kites provided. He loved to watch them fly, especially on a clear sunny day, late in the afternoon as the sun was setting, 'Beautiful','Beautiful' he would say to himself. One day during the height of Bells' kite flying experiments he asked Mabel what she thought about a book composed solely of photographs of kites? 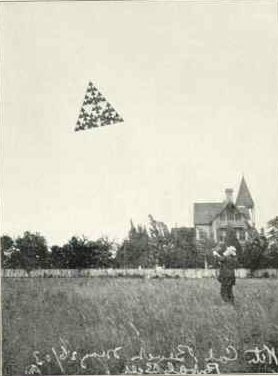 Over the years Bell developed a variety of tetrahedral kite shapes. One of Bell's favorite kite shapes was named the Oionos, (named after the soaring birds from which the ancient Greeks drew their auguries). Bell began work on this kite shape which combined oblique and horizontal surfaces in 1903 and continued for years because of the stability and lifting power it provided. 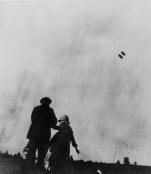 An impressive but unsuccessful experiment he did was the ring kite, a flying circle that tended to sideslip and crash. As the work progressed the kites became enormous in size. The Aerial Experiment Association was formed in 1907 to build a flying machine of each member's design. Members of the association were Glenn H. Curtiss, Casey Baldwin, Alexander Graham Bell, Lt. Thomas E. Selfridge, and Douglas McCurdy. In 1909, McCurdy's Silver Dart flew half a mile at 40 mph; the first airplane flight in Canada. I wish I could invite him to my next festival.